If you’re interested in earning a Master of Business Administration (MBA), you’ll want to start the process early, so you have plenty of time to make your candidacy as strong as possible. Give yourself enough time so you can make your application stand out. Your application essay provides the perfect opportunity to do just that. Take a look at the recommended MBA application timeline below. Going back to school to earn an MBA is a significant investment. Be sure you plan ahead to make sure you make the best decision for your learning and career aspirations. In general, you want to apply as early as possible for MBA programs. Earlier rounds have more available spots. However, if you need more time to study and take the GMAT or GRE, you should wait to apply to a later deadline. Begin researching MBA programs - you'll need plenty of time to find the program that's the right fit for you! For help deciding which test to take, see MBA Admissions - the GRE or GMAT? The essay is such a critical part of your application for MBA admissions. This is your opportunity to shine and highlight all the unique traits about you that make you an excellent candidate. Below are some recommendations on how to write an essay that’ll help you get admitted to your dream school. Explain why you're a good fit for the MBA program. Focus on the specific reasons why this business school is the perfect fit for you. Different schools have different focuses, and you can tailor your essay to your target school. All business schools care about a few characteristics, such as your leadership and teamwork. Since all schools care about these qualities, make sure you include them in your essay with detailed examples of how you display them. Highlight your key accomplishments. Consider creating a brag book or journal for yourself to keep track of what you're proud of. 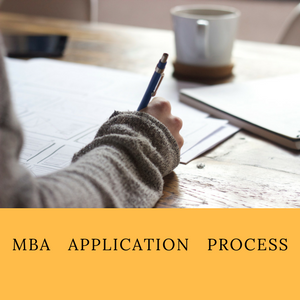 Gather this information for months as you get ready to start your MBA application. This practice will make it much easier for you when you sit down to start drafting your essays. In your essay, include specific examples of accomplishments. Describe why you want a business degree. Be specific about an MBA degree and avoid explaining why you want to attend graduate school in general. You should show a sense of focus and strong self-awareness and what you specifically want to learn from the degree. If you don’t have a solid argument for why you want to attend business school, admissions professionals will not take your application seriously. Although the below suggestions may seem like no-brainers, they are common mistakes that applicants make according to business school admissions professionals. Follow directions. Read and re-read the essay and application directions carefully, so you don’t miss anything. Be sure you follow all of the directions. For example, adhere to the essay length requirements. Don't write too much or not enough. Answer the questions asked. This sounds very straightforward, but it is common for applicants’ essays to get away from them and then they fail to answer the question asked. Outlining your essay to ensure you answer the question and provide supporting arguments is helpful. Plan ahead. Start writing early to leave yourself plenty of time to read your essay and revise it. You should have a second set of eyes review it for any typos or grammar mistakes. Also, avoid a common application error, which is addressing your essay to one school and then sending it to another. Consider the optional essay. If the optional essay is an additional question, then you should answer it. If the optional essay is an opportunity to provide clarity on any application elements, take advantage of the opportunity and clarify anything in your application that could bring up questions. The essay part of your MBA application is an excellent opportunity to differentiate yourself from the many other prospective students. The tips and tricks above will help you do just that. Resume. Highlight your achievements, strengths and successes. Prepare your MBA resume as you would prepare your job resume. Don't forget to mention any community services or any other activities you might have participated in. Interview. Always schedule your interview way ahead of time to ensure you are not placed with the last pile of students when the college has already made up their mind for most of the students, placing you at high risk. They might also not have the required staff and/or resources at the end to interview you. Recommendation letters. Make sure you ask for recommendation letters well in advance. Sometimes, it takes an awful lot of time to get them. The recommendation letter should ideally be from an instructor/mentor/manager/supervisor who evaluated your performance and knows you. Let the writers know your strengths and qualities that you would be highlighting in your application. Most importantly, give them the time needed to draft a well-written letter.